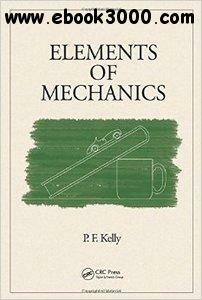 The first volume in a three-part series, Elements of Mechanics provides a rigorous calculus-based introduction to classical physics. It considers diverse phenomena in a systematic manner and emphasises the development of consistent and coherent models guided by symmetry considerations and the application of general principles. Modern developments colour the presentation and are alluded to when most relevant, but the focus remains firmly on the classical formulations and model descriptions of particular physical systems. The book prepares undergraduate students majoring in the natural sciences and engineering for intermediate and advanced classes in their disciplines which rely upon this foundational material. It also supplies a comprehensive review in preparation for graduate or professional exams. Therefore, the series is structured in such manner that the second and third books, Properties of Materials and Electricity and Magnetism, follow upon the first, but may be read independently of each other. Written in a conversational and accessible style, the material is presented in standard, canonical sequence. Worked examples and collections of problems serve to illustrate and illuminate subject material in each volume.